I’ve been reviewing a lot of Muslim children story books and have really enjoyed it. I ‘m still planning on reviewing more and have a few good books waiting for reviewing such as Moon Watchers and Ilyas and Duck Fantastic Festival Eid Ul Fitr. In the meantime, I requested a few multicultural stories to review from Peachtree Publishers, a local publishing company located just a few minutes away from me! 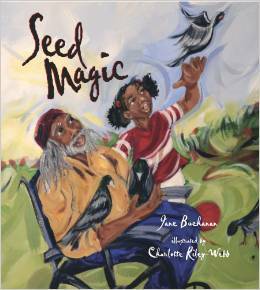 When I saw Seed Magic on their website, my interest was piqued. I love to garden in spring and summer, and a picture book on gardening seemed like a good read. Amazon Summary: Rose and her brothers mock the crazy old Birdman, who sits in his wheelchair surrounded by ugly gray pigeons. The birdman thinks his pigeons are beautiful, but the only things Rose thinks are beautiful are gardens full of red and yellow and blue flowers. The Birdman fills Rose’s hand with seeds and tells her they are magic if she plants them outside her window they will grow a garden. Her brothers don’t believe him, but Rose sets the seeds out and waits. Soon, just as the Birdman promised, a garden appears before her eyes a musical flurry of blue and red and yellow birds, drawn to Rose’s window by seed magic. My thoughts: I liked the sibling relationship between Rose and her brothers. I have 3 brothers, so am like Rose, the only girl. When Birdman gives Rose seeds to plant, Rose simply places the seeds directly on the windowsill, without water, air, or soil! Her brothers make even more fun of her, while Rose dreams and dreams of a garden. And finally something happens! Not the garden she thought would bloom, but colorful birds who came to eat the seeds. 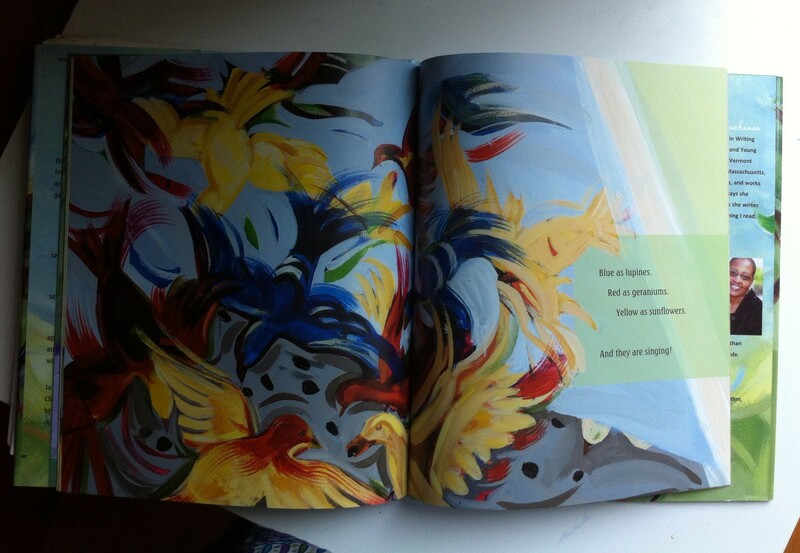 I also enjoyed the whimsical acrylic painted illustrations. 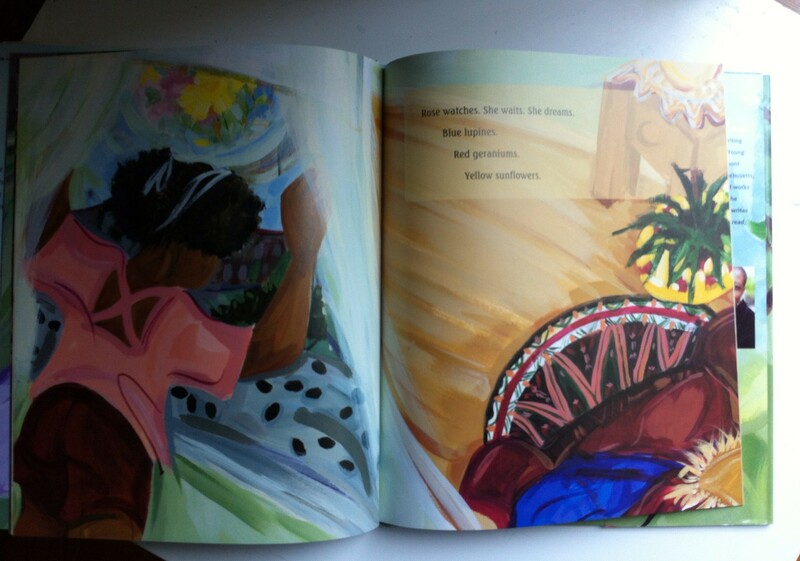 My 2nd-Grade-Teacher Thoughts: I wish I had read more multicultural stories to my 2nd graders. 98% of my students were African American, I feel it would have been nice to read more books of color. 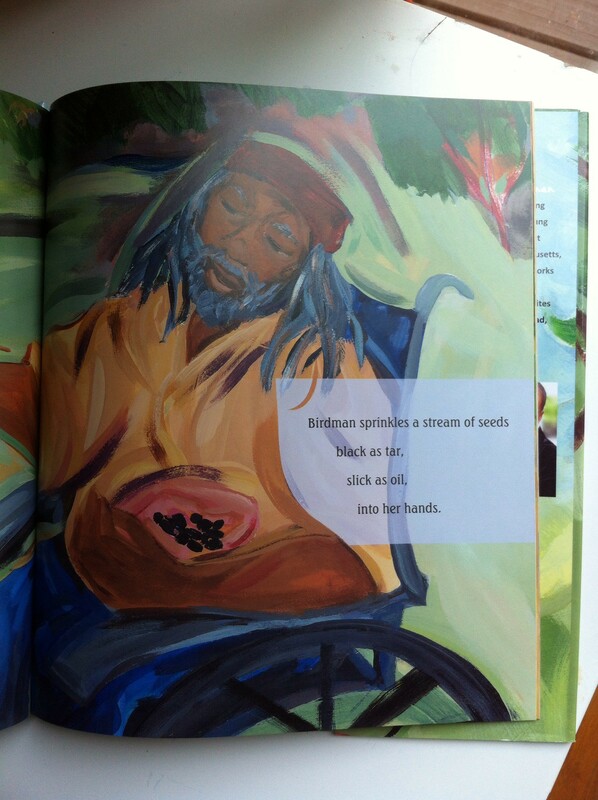 I did read some, but since I stopped teaching, I have stumbled upon other beautiful books with diverse characters. I think this story would be a great intro to a planting unit, So what exactly do plants need to thrive? And a great way to teach that birds enjoy eating flower seeds. Roses watches. She waits. She dreams. More books to come soon!